Welcome to week 3 of my Pootlers Design Team creations. To recap we are all using the Friendly Wishes stamp set. 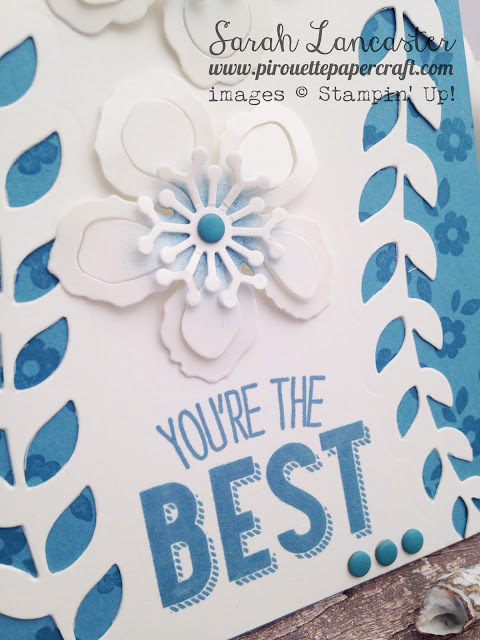 Here I have teamed the stamp set with the Botanical Builder framelit dies. I CASEd my own creation for the Onstage Display Board in Paris and don't worry i will have a video very shortly on how to reproduce this card. As always my supplies are listed below, thanks for visiting today. On Saturday we will have another Sneak Peek of the new catalogue items and this time I will be focusing on Drapper Denim, so be sure to subscribe to my YouTube channel so as not to miss it. If you would like to place an order I would be delighted if you'd visit my online store at www.pirouette.stampinup.net. Please show your support by using the current Hostess Code shown at the top right of this blog and a crafty thank you gift will follow in the post from me. Your Stampin' Up! goodies are shipped for a standard fee of 5,95€/£4.95 regardless of how much you order, direct to you from Germany via UPS (no custom duties incurred) and normally arrive within 3 to 5 working days after ordering. 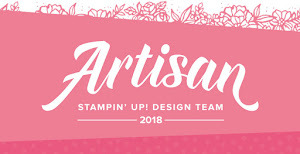 There is going to be a price increase for Stampin' Up! card stock from 1 June 2016. Lovely card. Thanks for sharing this.